A clear sky. Low 43F. Winds E at 5 to 10 mph..
A clear sky. Low 43F. Winds E at 5 to 10 mph. New city-backed residential homes line Fowler Avenue in Central Ogden. Ogden's household income level is lower, poverty is higher. But is it a ghetto? 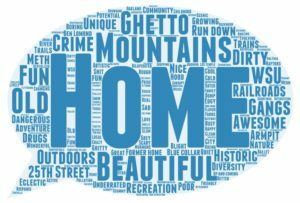 "Use of the term ‘ghetto’ glosses over the real issues facing urban communities"
Many dub Ogden a “ghetto,” according to a survey of readers conducted as part of the Standard-Examiner’s Real Ogden initiative. 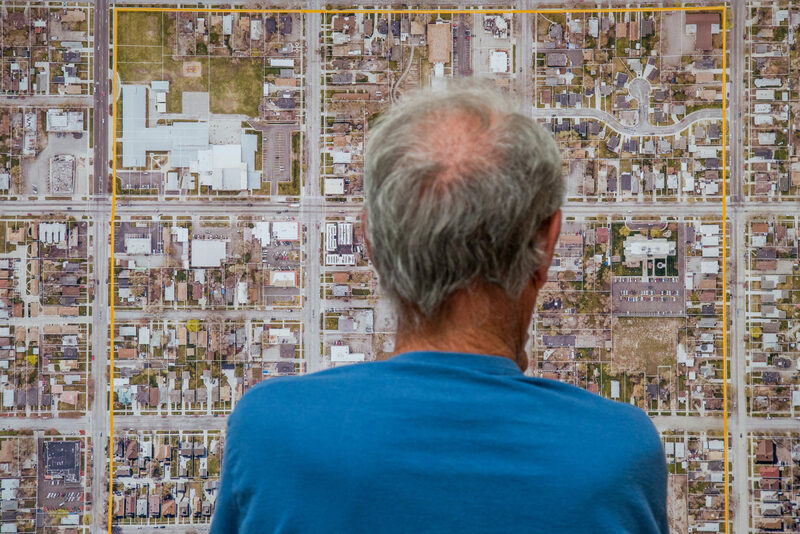 Some of them, like Cody Patino, point to the rougher condition of some homes in the older city center compared to newer developments — indicative, he maintains, of the lower income of residents in the zone. Nicolas Castorena cites the violence he’s witnessed in Ogden, while Roxy Marocchi, a lifelong city resident, points to the inflow of immigrant Hispanics to the area and the different cultural norms they bring. Numbers bear out some of their observations about Ogden relative to other Utah locales, at least to an extent. Compared to most of Utah’s largest cities, the median income here is lower, poverty is higher and there’s a larger population of foreign-born people, a grouping that includes legal immigrants, undocumented immigrants and others. Even so, ghetto is a charged and vague word, some critics say. And it can come packed with negative connotations that give short shrift to the good things in a community. “The flippant use of the term ‘ghetto’ has severely impoverished contemporary debates about the social and economic conditions of urban communities,” Lynda Laughlin, a demographer at the U.S. Census Bureau, wrote in Greater Greater Washington, a Washington D.C., community blog. First a look at some of the figures relative to the observations of Patino, Castorena, Marocchi and others likening Ogden to a ghetto. Scroll to the bottom of the story for tables that provide even more details. Income: Ogden had the second-lowest median household income among Utah’s largest 20 cities at $41,036 per year. Only Logan’s was lower. Poverty: The city had the third-highest poverty rate, 22.9 percent, trailing only Provo and Logan. Education: The city had the second-lowest education rate, a factor that bears on poverty and earning potential, with 82.3 percent of residents older than 25 having at least a high school degree. Only West Valley’s rate was lower, while the other locales had rates ranging from 87.4 percent to 96.8 percent. Immigrants: 13 percent of Ogden residents were foreign-born — a measure of the number of immigrants here, legal and otherwise — which is the fourth-highest rate among the 20 cities. In another measure, Ogden had the third-highest rate of people age 5 and up who spoke a language other than English at home, 23.1 percent, trailing only West Valley and Salt Lake City. Even scholars use the term ghetto, Laughlin said, but community conversations need to get beyond the term if the issues a neighborhood faces are to be addressed. “The current use of the term ‘ghetto’ glosses over the real issues facing urban communities and allows individuals to hide behind racist and classist assumptions instead of engaging in productive conversations and actions,” she wrote. Contact reporter Tim Vandenack at tvandenack@standard.net, follow him on Twitter at @timvandenack or like him on Facebook at Facebook.com/timvandenackreporter.